Please refer to our stock # DL51 when inquiring. 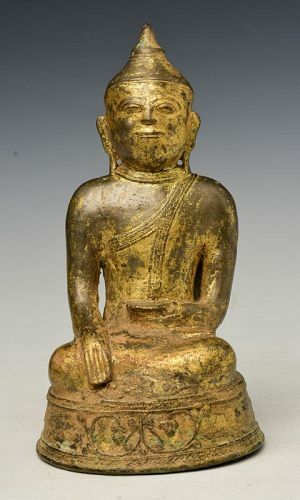 Laos bronze Buddha sitting in Mara Vijaya (calling the earth to witness) posture on a base, with gilded gold. Measurement: Height 24.8 C.M. / Width 13.2 C.M.